Gokarana is an important Hindu pilgrimage place located in Karnataka, India. It is the one of the seven Hindu pilgrimage places standing tall with an elevation of 22m above sea level. The place is throng with tourists throughout the year for its temples and serene beaches. It is a small town in Kumta taluk of Uttara Kannada district of Karnataka. The place is beautified further with banana trees, coconut trees, blue sea and clean sands all over. The local language is Kannada but people do speak Konkani and English. This beautiful small town lies between Gangavali and Agnashini River. Since Gokarna is a small town the best way to known about the town is by walking around the small lanes of the town. The main temple is known as Mahabaleshwara temple which is dedicated to Lord Shiva and it is believed that the temple holds the Atmalinga. Mahabaleshwara temple: This temple is also known as Dakshina Kasi. The temple buzzes with tourists during Maha Shivaratri festival. The temple is one of the most important pilgrimage centres in Karnataka other than Udupi, Kollur, Subramanya, Kumbasi, Koteshvara and Shankarnarayana. The temple is a very ancient temple and is mentioned in Ramayana and Mahabharata epics. The main deity is Lord Shiva and the temple is opened on all days from morning 5 am-12 noon and 5pm to 8pm. The temple is located on the west coast of Arabian sea near Karwar. The complex of the temple is very huge and ha many shrines in it. It is understood from the past history that the temple was first constructed by Mayur sharma of Kadamba dynasty. Even Kalidasa mentions about Gokarna in his classical book of Raghuvamsha written in 4th century. The temple got upliftment during Vijayanagara Empire and further during 17th century Visvesvaraya of Halasunadu Kundapura built the Chandrashala and Nandi pavilions. It is a custom that people before visiting the temple take bath in the beach and later visit Lord Ganapati temple which is close to Mahabaleshwar temple and later people visit Mahabaleshwar temple. Gokarna means cow’s ear. According to the Hindu mythology it is believed that Lord Shiva came out to earth from the ears of the cow in Gokarna. The history says that Ravana (king of Asura) performed a very rigorus and strict penance to please the God’s and gets the Atma Linga from Lord Shiva. After getting Atma Linga Lord Shiva instructed Ravana not to keep the Linga on earth and if he does so then the Linga would get attached to Earth and cannot be removed. Lord Vishnu understood that Ravana would become very powerful after performing puja to Atma Linga and defeating Ravana would become impossible. Hence Lord Vishnu pleased Lord Ganapati to help him in make Atma Linga to fix to the ground before Ravana could reach his place. When Ravana was approaching Gokarna, lord Vishnu with his powers shadowed Sun to give the appearance of dusk. Ravana who never skips his everyday rituals thought it was evening and wanted to do his evening rituals. At that time Lord Ganapathi appeared as a small boy in front of Ravana. Lord Ganapati appeared as a small boy in front of Ravana when the king of Demon wanted to perform his evening prayers to God. At that time Ravana asked the small boy to hold the Linga and not to keep it on the ground. The small boy who was Lord Ganapati agreed to do so on one condition he said that would keep the Linga in his hand as along as he could hold and would later call out his name three times if Ravana does not appear then the small boy would keep the Atma Linga on the ground. Ganapati called Ravan three times when Ravana was immersed in his evening prayers, the king of Demon could not hear Lord Ganapati’s voice and hence Lord Ganapati kept the Atma Linga on the ground and vanished with his cows. Lord Ravana chases only the cow as the boy had vanished. As soon as Ravana held cows hear the remaining part of cows body got disappeared inside the ground. It is believed that this is the ear which has given Gokarna name to the place. That place was Gokarna. Ravana could not remove Atma Linga from the ground threw the coverings of the linga to Dhareshwara, Gunavanteshwara, Murudeshwara and Shejjeshwara temples. Ravana who could not lift the linga called it as Mahabala and hence the temple got the name as Mahabaleshwara temple. Hence the place holds three divine deities like the cows ear, the Atmalinga which is in Mahabaleshwara temple and Goddess Bhadrakali. Architecture of the temple: This beautiful temple is built in classical Dravidian style. There is a huge gopuram at the entrance of the temple. The Atmalinga is preserved on Saligrama plinth (base or support for statue). The plinth has a small hole from where devotees have darshan of the head of Atmalinga. A stone idol of Nandi is placed in front Lord Shiva which is carved on a stone. It is believed that the stone image of lord Shiva is 1500 years old. Other than Mahabaleshwara temple in Gokarna there are many other temples to visit and take blessings of God. Tamra Gowri temple: This is another important temple dedicated to Goddess Parvati and is located to the back of Mahabaleshwara temple. Goddess Parvati holds the balance in her hands. The history of this temple is very interesting. It is believed that Lord Brahmadev was in deep meditation when two women approached Lord Brahmadev. Both women approached in two forms one in river form and another in women by name Gowri form. At that time Lord Brahmadev told her that she would be the wife of Lord Shiva. Gauri went in search of lord Shiva on Tamra Parvat (Copper Mountain). This is a standing Gowri who is holding balance in her hands. The temple is open on all days from 9am -2pm and from 4:30 pm- 8pm. there is a strong belief in the people that Goddess Parvati fulfil the wishes of marriage, good health to all the visitors of this temple. 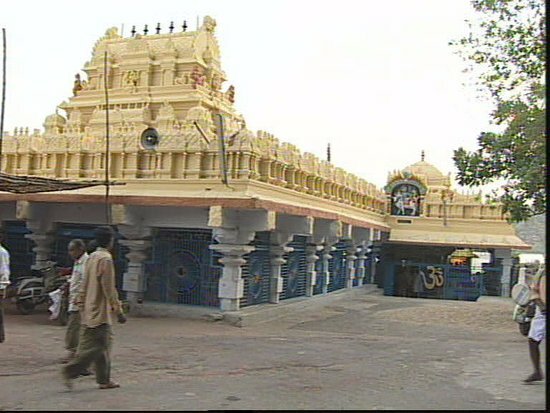 Venkatramana temple: This is the only temple dedicated to Lord Vishnu. It is located to close to koti theertha (small man made pond). People visit this temple and take the blessings of Lord Vishnu. The temple is open on all days from 9am-2pm and from 4:30pm-8pm. 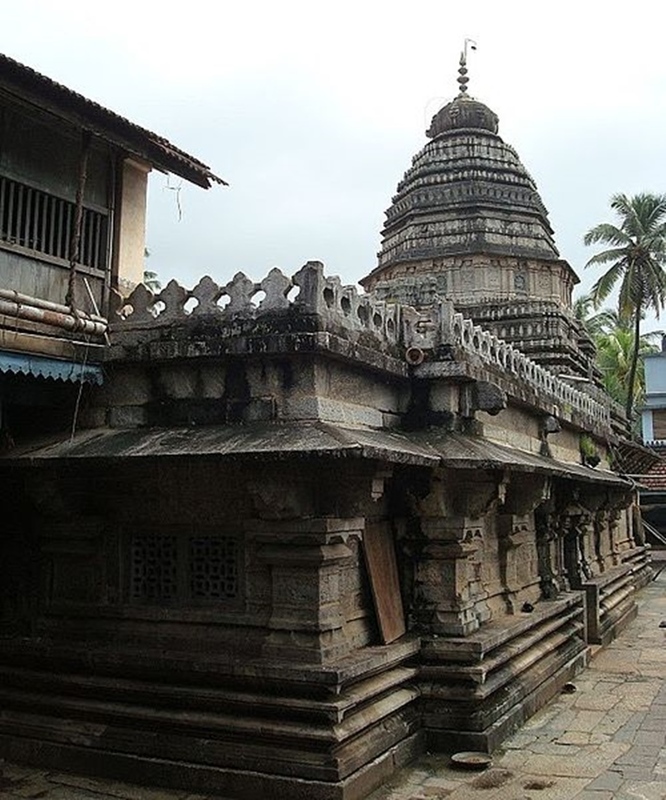 Bhadrakali temple: Another important temple in Gokarna is the Badrakali temple which is dedicated to Goddess Uma. People worship the Goddess in the name of Bhadrakali here. It is very closely located to Mahabaleshwara temple. Some other visiting places in Gokarna are Gogrbha which is a small cave. Gogarbha means womb of the cow. Sadhus visit this place and take rest. Koti theertha is a small man made pond near Mahabaleshwara temple. The pond is used for immersing of idols and also for taking bath before performing any rituals. After visiting so many temples one can plan to visit some of the famous beaches in Gokarna. The place is just not famous for temples but also famous for beaches. 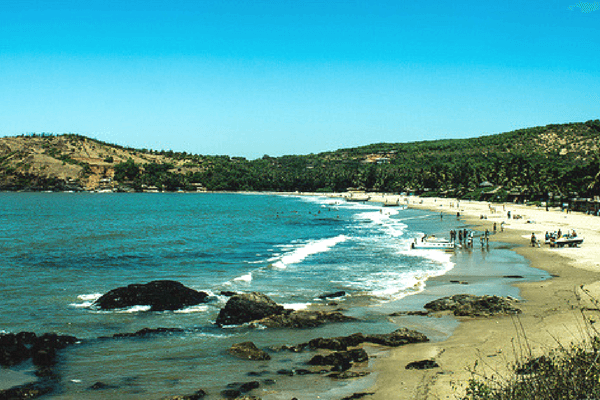 Gokarna has four important beaches. Gokarna Beach: This is the main beach in Gokarna. It is quiet famous among the pilgrims who visit the place. This beach is less popular among the foreign tourists. It is believed that before visiting the Mahabaleshwara temple people take a dip in the Gokarna beach and then visit temple. The main problem with this beach is the beach is very unhygienic and dirty. It becomes quiet challenging to clean the garbage after Shivaratri festival. The water in the beach has the smell of dead fish and at times the dirty water from Gokarna River is released into the beach making the beach dirtier. Taking bath in this beach is quiet challenging. Kudle Beach: Just 6 Km away from the town is the kudle beach. This beach is very close to OM beach and is filled with tourists during November to February. Otherwise it is less crowded beach and is a good place to see the sunset and do some walking on the shore of the beach. The beach is calm and comparatively clean. There are few hotels nearby for accommodation however more shacks come up during the peak season. These shacks are built temporarily by the local residents and the rates of these shacks would be quiet expensive during peak season. OM Beach: It is relatively clean beach and visited by the Indian and Foreign tourists round the year. It is very closely located to Kudle beach. Gokarna has many beaches and OM beach is one of the most famous and clean beach. This peaceful and beautiful beach is tourists delight. Every year thousands of tourists visit Gokarna and enjoy the beautiful beaches and temples of Gokarna. The beach is in the shape of OM and hence got the name as OM Beach. One can see and enjoy the breath taking view of sunset and also enjoy with some adventures activities. Paradise Beach: It is the farthest beach as compared to other beaches in Gokarna. The beach is open to public only during the peak season that is from November to February. The beach remains closed during off season due to rocks and also because of the risk in doing swimming here. During the peak season there is security all along the beach. Places to visit around Gokarna: There are many tourists place which are closely located to Gokarna. The place is very closely located to Goa, the distance between Goa and Gokarna is around 150 km which is close to 4 hr drive. Other places include Udupi which is at a distance of 180 km, Murudeshewara at a distance of 80 km. one can see Lord Shiva temple in Murudeshwara. Beautiful hill station Yana is at a distance of 50 Km from Gokarna. Gokarna has no airport. The nearest airport is Goa or Mangalore which is around 240 km from Gokarna. Gokarna is easily accessible by rail. The nearest railway station is karwar, Ankola and Kumta. Gokarna is easily accessible by road. There are many buses running from all the major cities of Karnataka. From Bangalore there are daily bus service operating from Bangalore Bus station. It is a 12 hour long journey in Bus from Bangalore. If one is planning to take a bus from Goa then one has to take a bus to karwar and from Karwar another bus to Gokarna. There are many private buses operating from major cities of Karnataka.